CadCon Surveying and Town Planning provides expertise in the creation of Spatially Accurate Representations of the Cadastre which simply translated means CadCon create an electronic map of property boundaries for use in Land Administration Systems and other GIS. Because the boundaries are spatially accurate they significantly enhance the value of these systems by enabling accurate desk top planning and decision making in areas such as asset management, infrastructure planning and management, acquisitions, property liaison and negotiation with land owners. 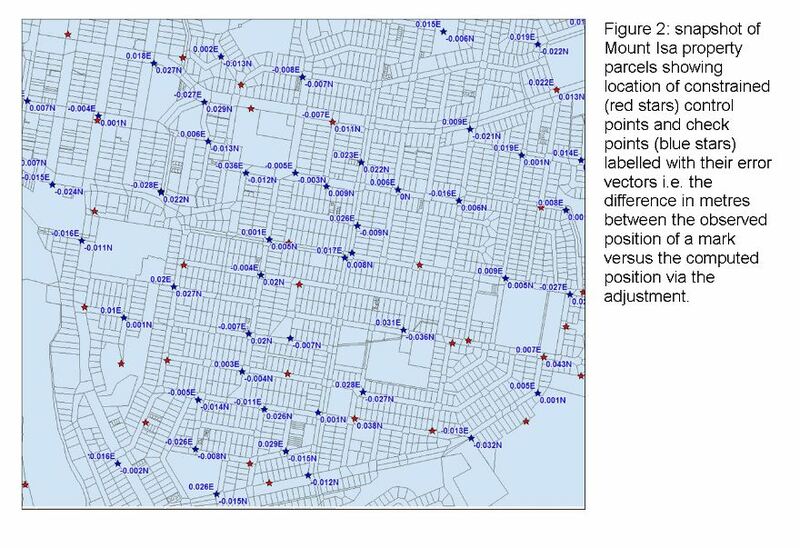 In Queensland, Australia CadCon Surveying and Town Planning have delivered in excess of 100,000 spatially accurate parcels (to an accuracy of better than ±0.1m in urban areas and ±1m in rural areas) to various local governments using title plan dimensions and geodetic control as source data. CadCon’s system enables us to produce spatially accurate, quantifiable results such that the benefits significantly outweigh the costs. We have also successfully trialed the system in a small pilot study in El Paso, Texas. CadCon couple this service with related services such as data cleansing, matching and integrity checking, distortion modelling and data maintenance, significantly enhancing the value of spatial information systems for their clients. Whilst the traditional use of the process is to create spatially accurate cadastres from survey plan dimensions, a data set can be created from any source data, meaning the process can produce homogenous, accurate data sets for countries that don’t have property boundary dimensions recorded on survey plans. This then becomes the first step in the creation of a modern Land Administration System.